Thanks to those of you who submitted nominations and who voted. The four top candidates in each category were selected from the nominees and the poll was conducted on three internet sites and Facebook. This year’s winners won by landslides. 1. Dr. Katharine Hayhoe ( 91% of the vote) – an atmospheric scientist at Texas Tech University, she is director of the Climate Science Center. She is an evangelical Christian who believes that science and religion do not have to conflict with one another. She has been a persuasive spokesperson for action on global warming and supports a Carbon Fee and Dividend proposal to address the issue. Award: An appreciation of climate science by conservatives. 2. The Standing Rock Sioux (5%) – for opposing the Dakota Access Pipeline to protect their water quality after it was routed through their reservation due to concerns of other communities for the same reason. Facing militarized police forces and North Dakota’s most severe blizzards and sub zero winds they prevailed in efforts on the reservation and in the media capturing the support of much of the nation. Suggested Award: A proper, nonpolitical environmental review before any more construction. 3. President Barack Obama (2%) – for coordinating and implementing a global climate pact signed by 195 countries, including the US, even in the face of a Congress that would stop at nothing to prevent it. President Obama managed to tie the US Paris agreement to a previous treaty to avoid a possible defeat in Congress. Prize : Clean air and water for our grandchildren as his legacy. 4. China (2%) –for announcing an investment of $361 billion in renewable energy by 2020 (and probably taking the global lead in green tech – a sad, missed opportunity for the US, but a great achievement for our shared future). China has also just cancelled the construction of 100 coal fired power plants to be replaced with wind and solar energy. Award : Being able to go outdoors in the cities without a mask. 1. The Palm Oil industry (91% of the vote.) – Palm Oil is found in roughly half the packaged products sold in US grocery stores, creating a skyrocketing demand for the oil. This demand has led to the burning of millions of acres of tropical rain forests and jungles, caused the loss of wildlife and eco-system, contributed to climate change, and spread corruption to local and national governments. It is also responsible for human rights violations as corporations often forcefully remove Indigenous Peoples from their lands and its production has led to child labor violations and modern day slavery. Suggested Award : A boycott of all conflict palm oil products. 2. Trump voters (5%) – for electing a President more than willing to undo even the modest progress the Paris Agreement would/could have accomplished – and most certainly will work to enable completion of the Keystone Pipeline, and push the Dakota Access pipeline in which he seems to have a financial interest. He has promised to remove/rollback decades of regulations designed to improve the quality of our air, water, and soil. Suggested Award: May you drink water approved by Scott Pruitt’s EPA. 3. Governor Scott Walker of Wisconsin (2%) – for appointing a real estate lady to head the Wisconsin Department of Natural Resources (DNR), scattering the DNR programs among five agencies making conservation more costly and less effective, halting enforcement of environmental regulations, and scrubbing anything involving Climate Change from DNR computers. Wished for Award: A resounding defeat in the next election. 4. Utah Congressman Rob Bishop (2%) – chairman of the powerful House Committee on Natural Resources, with sway over issues ranging from energy production to mining, fisheries, and wildlife across one-fifth of the nation’s landmass. He wants to overturn Obama’s Bear’s Ears monument, taking the land away from a coalition of native American tribes so it can be broken up and sold to mining and lumber interests. He introduced a Constitutional amendment that would take away the right of the President to designate national monuments, and has fought to weaken environmental laws and neuter federal agencies like the Bureau of Land Management, the National Park Service, and the Forest Service. Award: Perhaps having the federal agencies return the favor. It looks like 2017 will have some epic battles between conservationists and corporate polluters. Please keep in mind those who affect the environment the most for good or ill for your 2017 nominations. Thanks to those of you who submitted nominations. The four top candidates in each category have been selected from the nominees. Please vote for the ones who you think have most affected the environment for good or ill. If you will, please post a reason for your vote and a suggestion for suitable gifts for your favorite candidate. The most interesting and humorous gift suggestions will be acknowledged. Please post your choice as a comment, or take a poll set up at this site. Voting will close and the winners announced on March 1, 2017. 1. China –for announcing an investment of $361 billion in renewable energy by 2020 (and probably taking the global lead in green tech – a sad, missed opportunity for the US, but a great achievement for our shared future). China has also just cancelled the construction of 100 coal fired power plants to be replaced with wind and solar energy. Award : Please suggest a suitable award. 2. The Standing Rock Sioux – for opposing the Dakota Access Pipeline to protect their water quality after it was routed through their reservation due to concerns of other communities for the same reason. Facing militarized police forces and North Dakota’s most severe blizzards and sub zero winds they prevailed in efforts on the reservation and in the media capturing the support of much of the nation. 3. President Barack Obama – for coordinating and implementing a global climate pact signed by 195 countries, including the US, even in the face of a Congress that would stop at nothing to prevent it. President Obama managed to tie the US Paris agreement to a previous treaty to avoid a possible defeat in Congress. 4. Dr. Katharine Hayhoe – an atmospheric scientist at Texas Tech University, she is director of the Climate Science Center. She is an evangelical Christian who believes that science and religion do not have to conflict with one another. She has been a persuasive spokesperson for action on global warming and supports a Carbon Fee and Dividend proposal to address the issue. Trump voters – for electing a President more than willing to undo even the modest progress the Paris Agreement would/could have accomplished – and most certainly will work to enable completion of the Keystone Pipeline, and push the Dakota Access pipeline in which he seems to have a financial interest. He has promised to remove/rollback decades of regulations designed to improve the quality of our air, water, and soil. 2. Governor Scott Walker of Wisconsin – for appointing a real estate lady to head the Wisconsin Department of Natural Resources (DNR), scattered the DNR programs among five agencies making conservation more costly and less effective, halting enforcement of environmental regulations, and scrubbing anything involving Climate Change from DNR computers. 3. Utah Congressman Rob Bishop – chairman of the powerful House Committee on Natural Resources, with sway over issues ranging from energy production to mining, fisheries, and wildlife across one-fifth of the nation’s landmass. He wants to overturn Obama’s Bear’s Ears monument, taking the land away from a coalition of native American tribes so it can be broken up and sold to mining and lumber interests. He introduced a Constitutional amendment that would take the right of the President to designate national monuments, and has fought to weaken environmental laws and neuter federal agencies like the Bureau of Land Management, the National Park Service, and the Forest Service. 4. The Palm Oil industry – Palm Oil is found in roughly half the packaged products sold in US grocery stores, creating a skyrocketing demand for the oil. This demand has led to the burning of millions of acres of tropical rain forests and jungles, caused the loss of wildlife and eco-system, contributed to climate change, and spread corruption to local and national governments. It is also responsible for human rights violations as corporations often forcefully remove Indigenous Peoples from their lands and it production has led to child labor violations and modern day slavery. Please post your choice as a comment, or take a poll set up at this site. This poll will be conducted on three internet sites and Facebook. Voting will close and the winners announced on March 1, 2017. It is important that we keep in mind those who have most affected the environment by words or action. Each year, this site takes a poll to find those most deserving to be in the Environmental Hall of Fame and the Environmental Hall of Shame. Please send your nominations for each category by e-mail through the “Contact the Author” link or put it in the comment section . If you would, please include a short reason that your nominee should be chosen and suggest a suitable gift if they win. 2014 Pope Francis – for his Protect Creation efforts. – A strong agreement from the Paris climate conference. 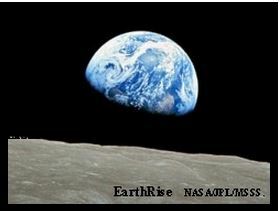 2013 Bill McKibben, founder of 350.org – Many new members so subscribe to his weekly newsletter . 2014 Freedom Industries ( Gary Southern ) – A prison cell with drinking water from the Elk River he polluted. This is a guest post by Jerry Verlinger, originally written for the Newstalker Website to support his nomination for the Environmental Hall of Fame. 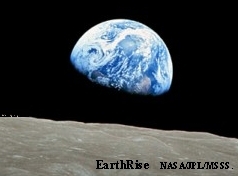 There are many people all over the world making significant contributions toward helping to preserve our environment. Choosing the one most deserving of recognition is very difficult indeed. However, last fall I read about a student in the Netherlands that has come up with what seems to be a feasible and viable method for clearing much of the over 30 million tons of plastic and other debris that finds its way to our oceans every year. 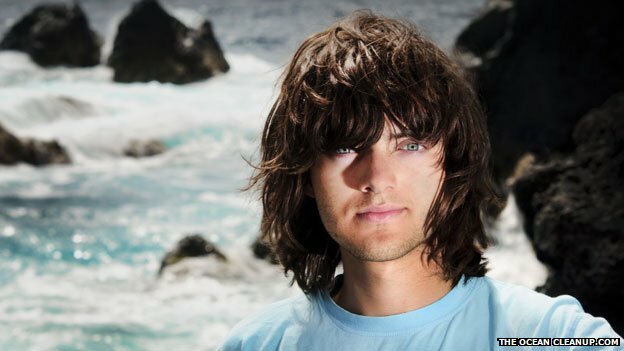 That student is 19 year old Dutch student/ inventor, Boyen Slat, now founder and CEO of The OCEANCLEANUP. Boyen Slat had always enjoyed working out solutions to puzzles, and while pondering this one, it came to him – rather than chase plastic, why not harness the currents and wait for it to come to you? The high school science project was awarded Best Technical Design at Delft University of Technology. For most teenagers, it would probably have ended there, but Slat was different. He set up a foundation, The Ocean Cleanup, and explained his concept in a TedX Talk: How the Oceans can Clean Themselves. Then, six months into his course, he made the decision to pause both university and social life to try make it a reality. On 26 March 2013, months after it had gone online, Slat’s TedX talk went viral. “It was unbelievable,” he says. “Suddenly we got hundreds of thousands of people clicking on our site every day. I received about 1,500 emails per day in my personal mailbox from people volunteering to help.” He set up a crowd-funding platform that made $80,000 in 15 days. Read the entire BBC News Magazine article. According to Bloomberg Business Week , in June of 2014, Slat, together with a team of about 70 scientists and engineers, released a 530-page feasibility study (pdf) that explains the technology and explores questions of legality, costs, environmental impact, and potential pitfalls. The Ocean Cleanup also kicked off a campaign to raise $2 million to construct and test large-scale pilots. On September 15, 2014, Slat’s team announced that the funding goal had been achieved in 100 days, with support from more than 38,000 donors in 160 countries. They expect the first pilot to be deployed within a year, and they plan to have a fully operational offshore cleanup array in three years. (c) 2015 Jerry Verlinger – reprinted with permission.